Sirio (S.I.R.I.O. - Società Industriale Ricerche Innovazioni Ottiche) were an Italian camera manufacturers based in Florence, Italy, and so their cameras were marked "Sirio Firenze". They made two 35mm models, beginning after the Second World War in 1945, but the company did not last long - estimated at making between 5000 and 7000 cameras altogether. 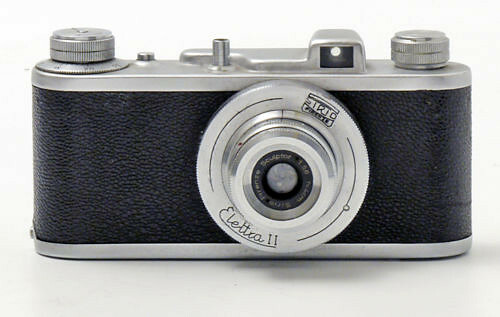 The cameras were outwardly styled on early Leicas, but with a simple 4-speed + B (1/25-1/200) leaf shutter and a very basic lens. This page was last edited on 13 February 2017, at 23:44.